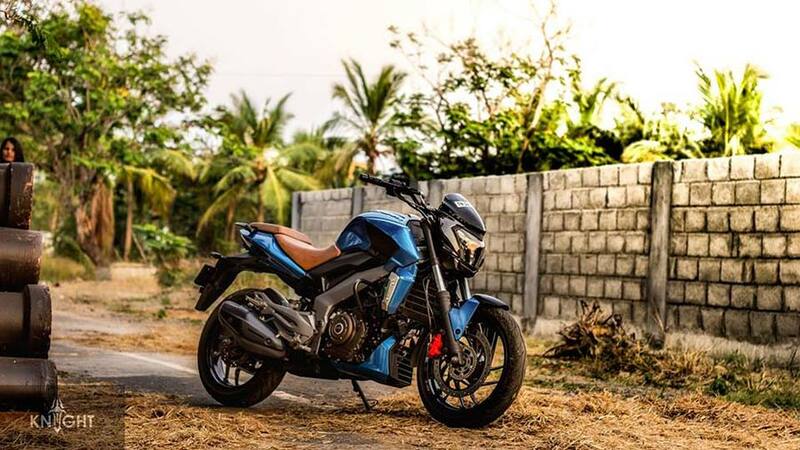 From the day of launch, Bajaj Dominar 400 is hitting headlines for various reasons – One – It is one of the first motorcycles to fit in Bajaj’s 400cc segment, two – Dominar is priced pretty attractively and is affordable. The motorcycle currently has a waiting period more than a month which itself signifies the traction the motorcycle has received in India. 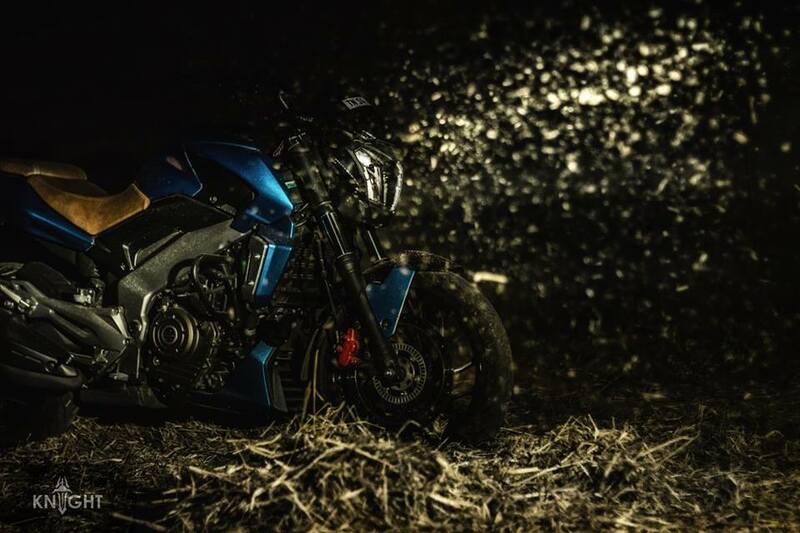 An institution called Knight Auto Customizer has released a custom wrap for Bajaj Dominar 400. You can check out the photos released by Knight Auto Customizer below. As you can see in the photos, the body of Dominar 400 gets a gloss blue metallic wrap that is contrasted by Gloss Carbon Fiber accents, Gloss Black alloy wheel paint as well as Gloss Red brake caliper. This custom wrap of Dominar 400 also gets a custom tan leather seats that continue with the split setup. 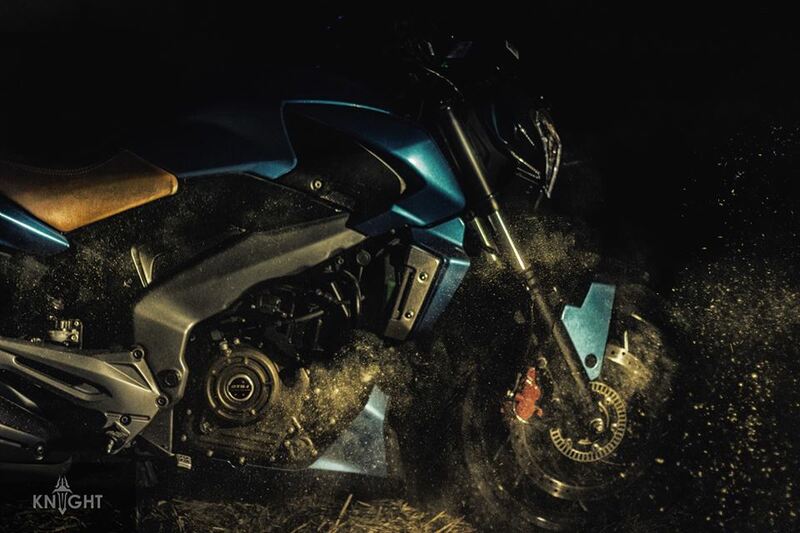 Bajaj Dominar 400 is powered by 373cc engine which can churn out 35 PS of power and maximum torque of 35 Nm. 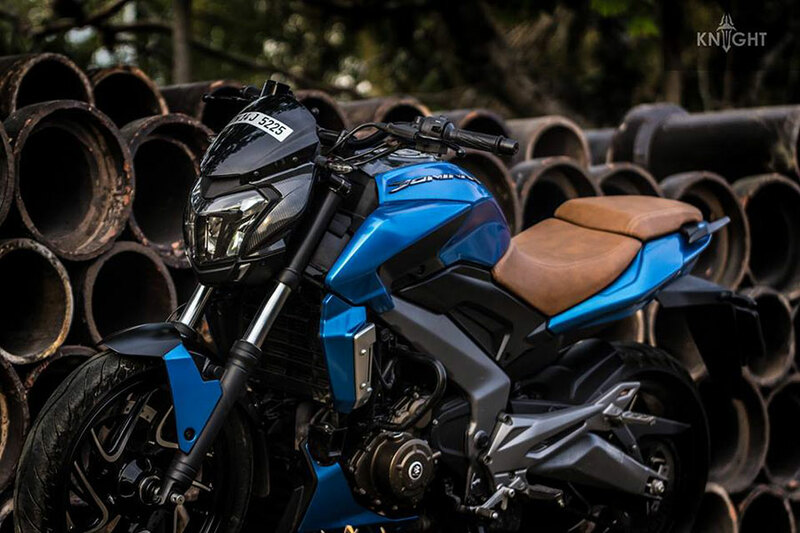 This powerful motorcycle from Bajaj Dominar is priced at INR 1.36 Lakhs and has already won the hearts of automobile enthusiasts and fans across India. The dual channel ABS ( Anti-lock Brake System) version of Dominar 400 is priced at INR 1.5 lakhs. 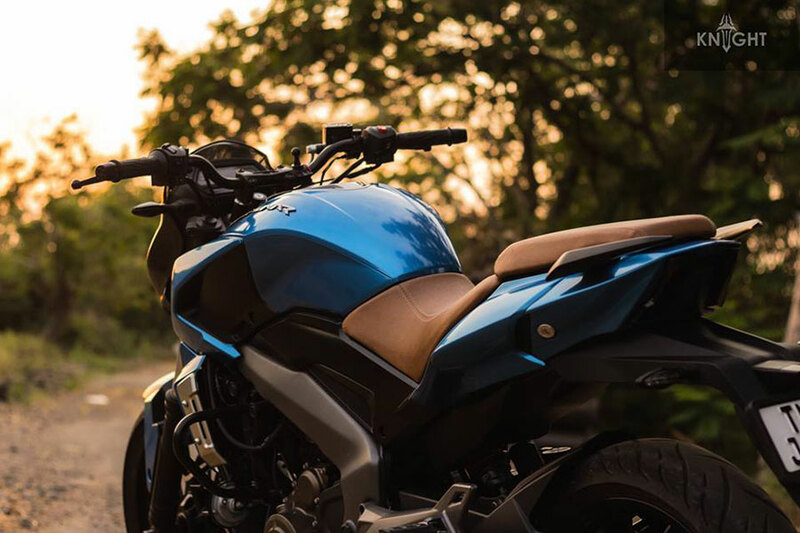 The all new Dominar motorcycle can attain a maximum speed of 100 Kmph in just 8.23 seconds. Dominar 400 is offered in 3 color variants – Midnight Blue, Twilight Plum and Moon White. 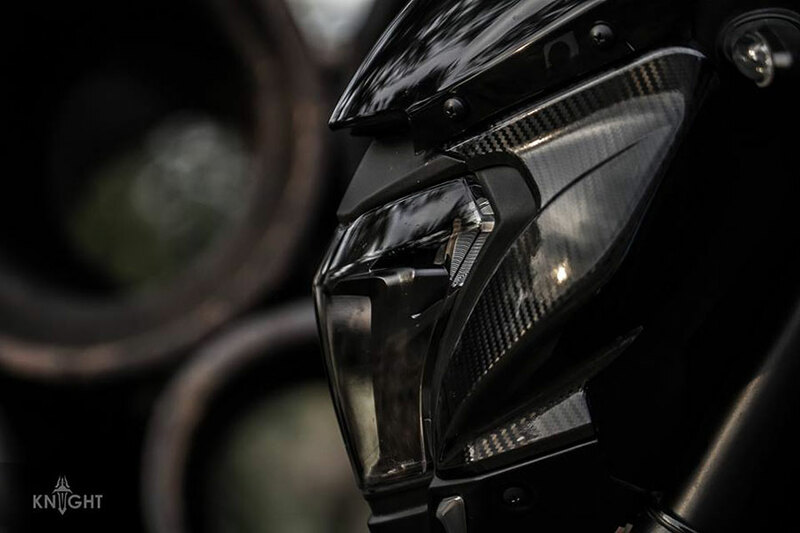 Dominar 400 features full LED mosaic head lamps that comes with balanced white light and vertical AHO (Automatic Headlights On). The Custom-wrap by Knight Auto Customizer is a great cheer for Dominar 400 motorcycle in India. Did you like the photos of Dominar 400 with custom wrap?